The Elephant is in a perfect central location opposite Flinders Street Station and on the most vibrant laneway in Melbourne, Degraves Lane! 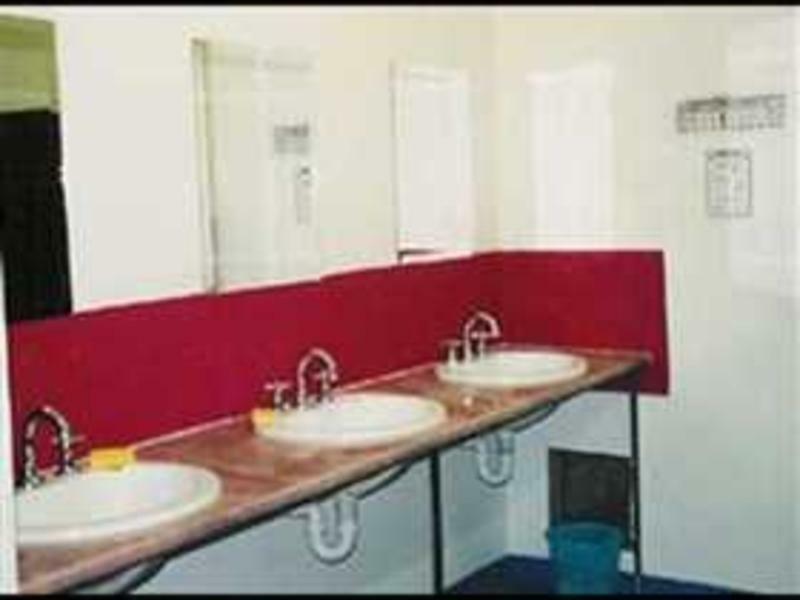 We offer basic accommodation with, in room lockers, comfy beds, a homely atmosphere, great security and friendly staff at our 24 hour reception. The kitchen, TV Room and dining area are currently basic but clean and open 24 hours. We have Foxtel with all the sports channels, a lift, guest laundry and BYO alcohol is OK. The Elephant was taken over by new owners & management in May 2013 who have been working hard to improve the property before major renovations start this Winter. 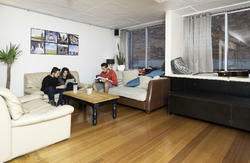 Accommodation ranges from 3-8 share dorms, 4 share dorms with ensuites, and private rooms with and without ensuites. Rooms on Level 1 and 2 in the older section of the hostel are cheaper because they are separated with walls which don't go all the way to the ceiling so they can be a little noisy. These rooms also don't have power points however beds are new and they have lockers. There are common bathrooms on these floors. Level 3 was only built a few years ago and could be a floor in any new hostel so if you have a few extra dollars these are much nicer. Level 3 rooms have new beds, lockers and AC/heating. 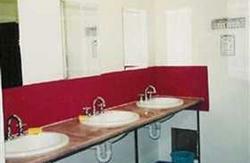 Some rooms have their own bathrooms and there are also separate common ensuites. If you are looking for a cheap, comfy, clean bed, security, a homely atmosphere in the best location in Melbourne then book now! We recommend VHA Aiport Shuttle from Tullamarine Airport to our door. Phone 03 8566 8525 to make a booking. Operate 5:30am - 10:30pm 7 days a week. $17pp. Catch the Skybus form the Airport and ask to be transferred direct to Elephant Backpackers - Opposite Flinders St Station. 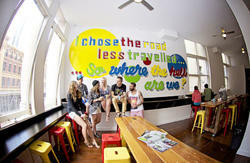 Any Bus or Train direct to Flinders St Station and cross the road to find Elephant Backpackers. Catch the free City Circle Tram and it stops right at the door! If you are having any problems finding the hostel, call reception and we will be more that happy to assist you in the right direction!